Pitcastle Estate is 1,500 acres of spectacular Scottish landscape made up of river frontage, deer park, forests, heather moorland and mountain country. The Estate extends over the River Tay on one side to its highest peak at over 2,000ft at the top side. 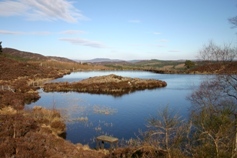 We boast eight lochans, stocked annually with some of the largest rainbow and brown trout Scotland has ever seen. 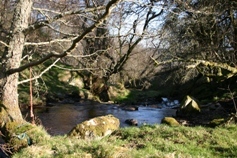 There is a charming fishing hut on the banks of the Tay, a comfortable shooting bothy in the middle of the estate, and a remote fishing hut at the two highest lochs. Pitcastle House itself, nestled at the bottom of the estate and above the river, is a delightful and substantial Victorian mansion house, the turrets and crowsteps typical of Scots Baronial style. Inside, the house has a warm and welcoming ambiance with an inviting entrance hall, three reception rooms, a delightful and traditional dining room and nine comfortable bedrooms - all with en-suite bathrooms. Just what’s needed at the end of a day’s stalking, business meetings or simply enjoying all that this beautiful part of the country has to offer.